Stability simulation of the capping system shown in the item just above. 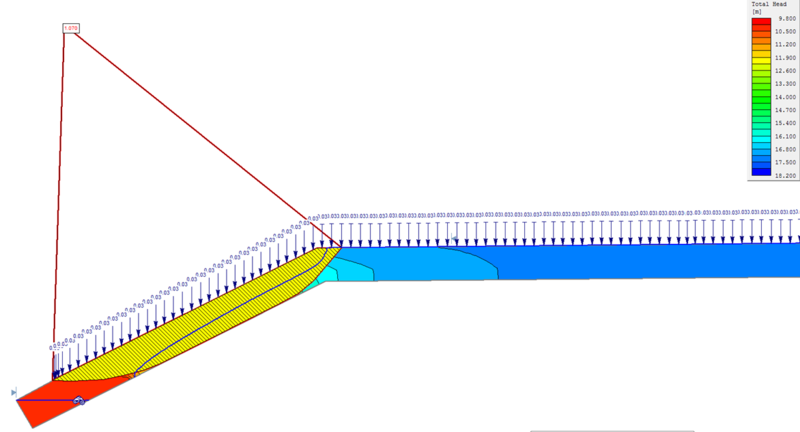 The simulation shows the pore water pressure evaluated by seepage analysis. Seepage forces in fact can drastically reduce the factor of safety of a slope. It’s proven that most of the slope failures occur during or a few days after a big rainfall event.